Something FREE and a discount too! Not all of us celebrate Valentine's Day, but why not treat yourself with a little something sweet? Or share the love with others? Especially for you, my blog readers, I am offering a discount. Use the code: Sweet15 to receive 15% off all orders. In case you missed it in the last newsletter I am also offering a FREE coloring page to download! 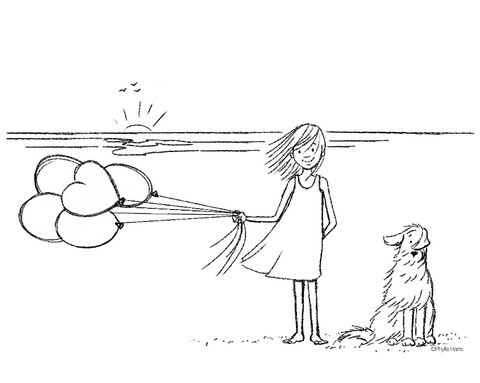 Color it and create your own Valentine card or color it just for fun! 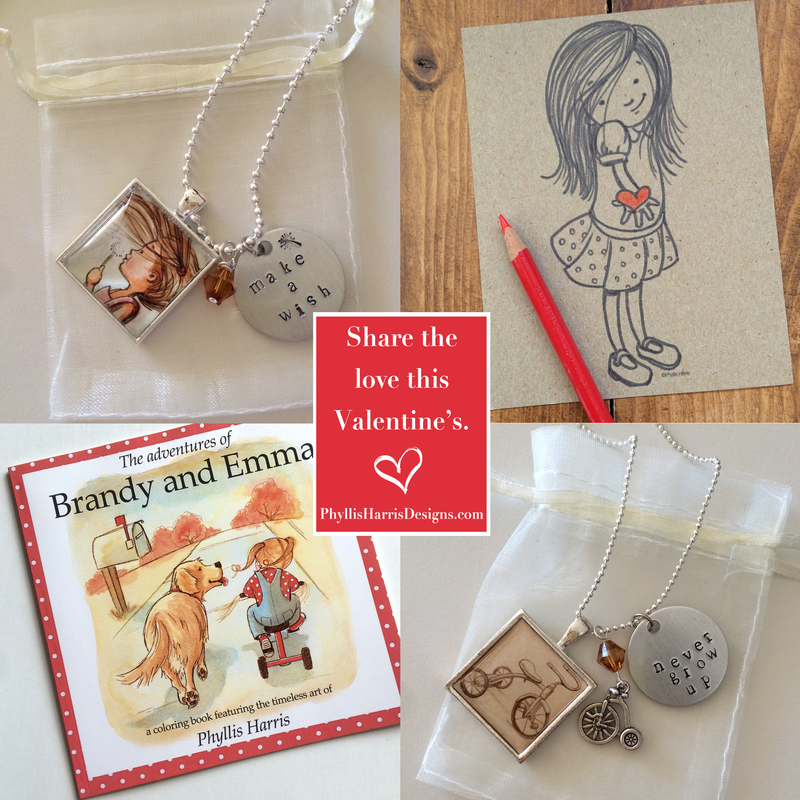 The necklaces you see are also all handmade with love. The include my own original art in the pendants and I hand stamp the charms, too. As always, thank you for being a part of our wonderful community. I am so grateful for each and every one of you! Wishing you all a wonderful ♥'s day! Best Sale of the entire year! 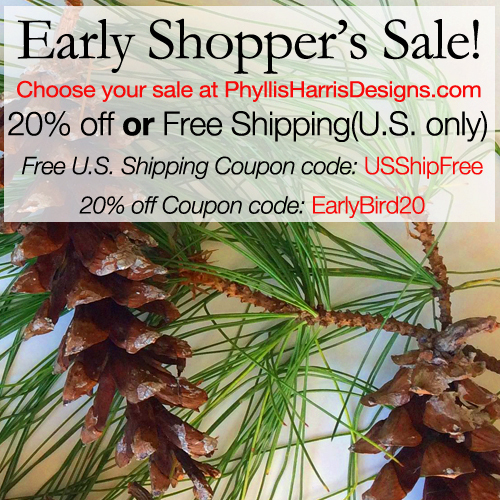 Black Friday Sale at Phyllis Harris Designs! I hope you all had a lovely Thanksgiving( for those of you who celebrated in the US). I know you are all busy, busy...so I will keep this short and sweet. 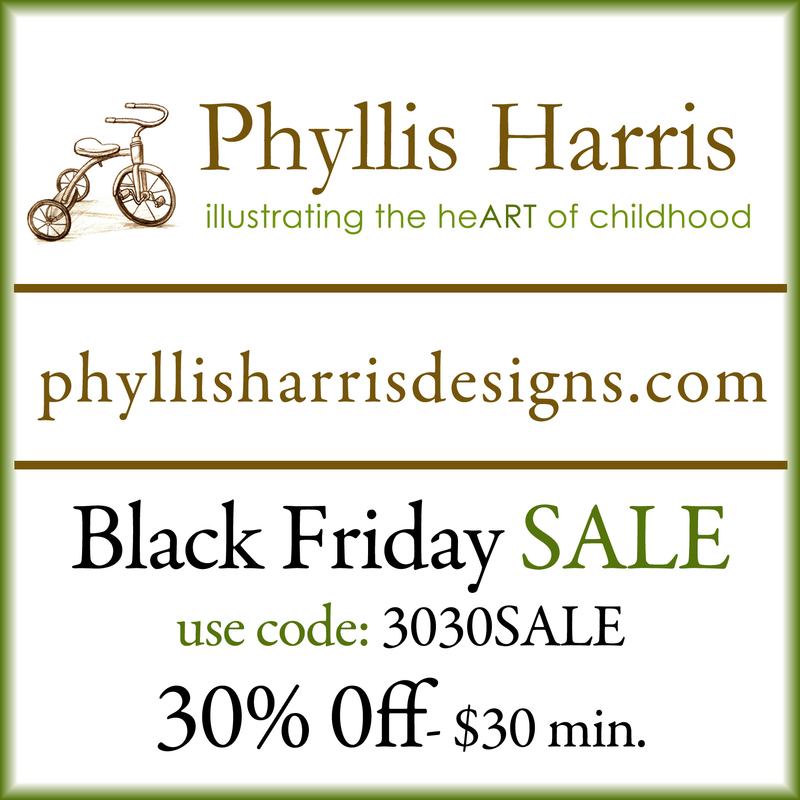 :) This sale will be offered through Cyber Monday, November 30, 2015. Here we go! Let the Christmas shopping begin!